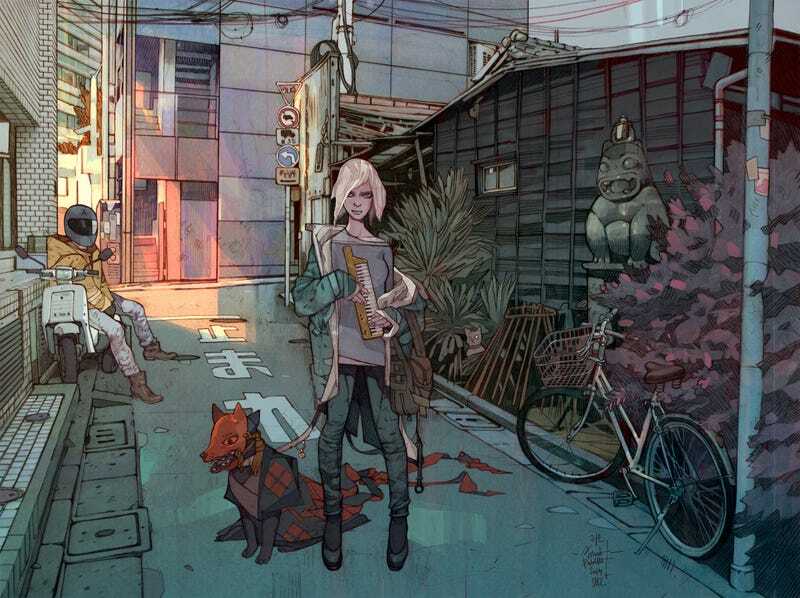 Jakub Rebelka is a Polish artist who does comics, concept art and other illustrative work. This is some of the coolest stuff we've posted here in a while. There's a hint of Mignola to his style, but it's fused with a little 90s manga and Geof Darrow in there as well. You can see more of Jakub's work at his Tumblr and ArtStation page.